This beachfront hotel on the quieter end of Chaweng offers an idyllic spot that’s still within easy reach of the center. 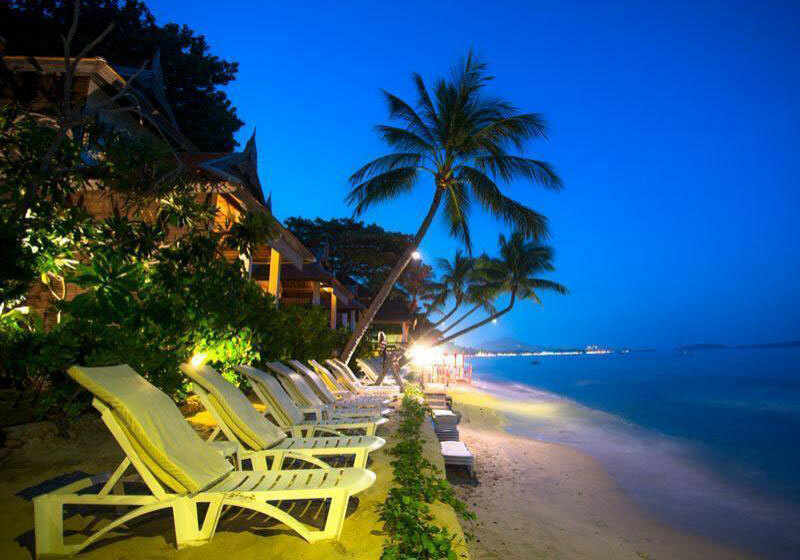 The Samui Paradise Chaweng Hotel is located on the more peaceful end of Chaweng Beach, a mere 10-minute walk from the main strip where all the restaurants, bars, and beach fun are centered. Samui Paradise Chaweng Hotel offers a peaceful accommodation for those looking to escape the crowds of central Chaweng, but still want to be close enough to all the hot spots. The beach area in front of the hotel is a lot more peaceful and considerably less crowded as water sports are not available here, making it perfect for swimming and lazing around, especially for families with young children. Samui Paradise Chaweng Hotel has recently undergone a complete renovation and offers a beachfront spa and an extended beachfront restaurant. Short Description: The Samui Paradise Chaweng Hotel is located on the more peaceful end of Chaweng Beach, a mere 10-minute walk from the main strip where all the restaurants, bars, and beach fun are centered.